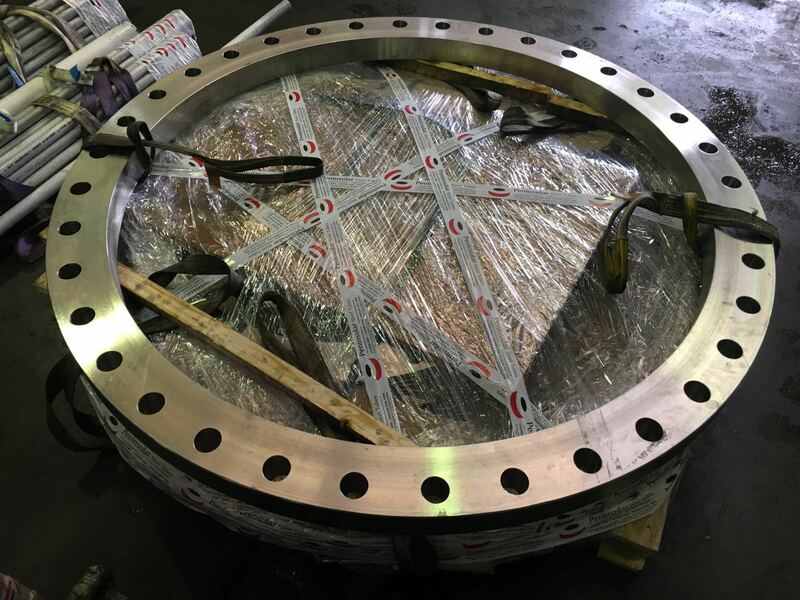 Peninsular de Vastagos has completed the supply of stainless steel 904L flanges DN 1400 / DN 900 and plates for the manufacturing of pressure vessels for a phosphoric acid plant in Turkey. UNS NO8904, commonly known as 904L, is ac high-alloy austenitic stainless steel that is designed for moderate to high corrosion resistance in a wide range of process environments. 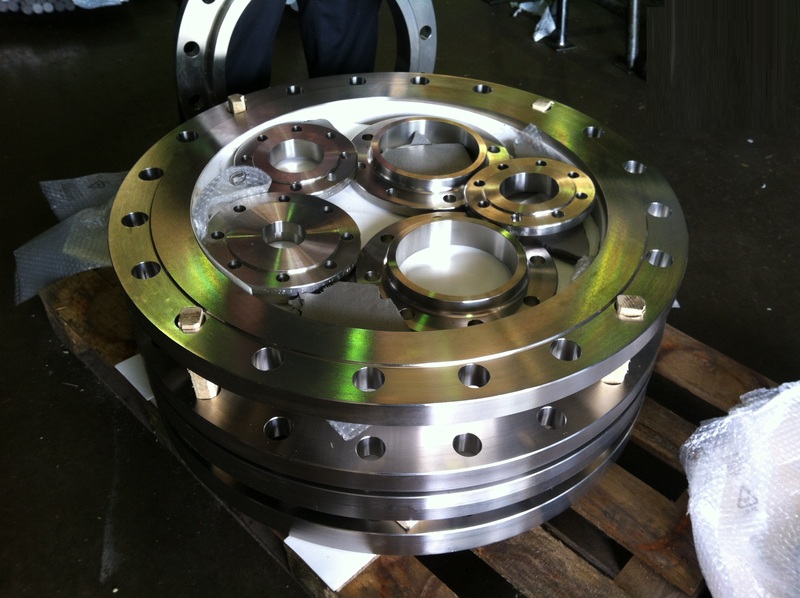 The combination of high chromium and nickel content, coupled with additions of molybdenum and copper, assure good to excellent corrosion resistance. The addition of copper to this grade gives it corrosion resistant properties superior to the conventional chrome nickel stainless steels, in particular to sulphuric, phosphoric and acetic acids.